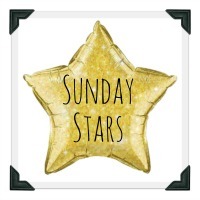 I am pleased to welcome you to the Sunday Stars linky for this week (1st February) and for the first time from me! This is a brilliant place to share your favourite posts each week. It is run by a group of us, taking it in turns each week to co-host and this week it is myself and Katie. Katie and I are both really looking forward to reading your star posts! 1. Tiny Footsteps talks about getting out and walking and how it is making her happier. 2. 23 Week Socks writes a letter to depression. Tweet your posts to either of us and @SundayStars using the hashtag #sundaystars and we will RT. We will also be pinning your posts to the Sunday Stars Pinterest Boards. Next week Sunday Stars will be hosted by Stephanie and Lucy so do look out for them. Share the love – try and comment on at least three other posts – this is what Sunday Stars is all about! The linky will open at 6am every Sunday morning and will close at 11.55pm on Wednesday nights, so there’s plenty of time to join in with your star posts.